The reason I've never loved another rock band since The Smiths is because they were and always will be the best. Physical proximity made them literally the boys next door, only exceptionally so. Johnny Marr's little brother did the paper round on my street for a bit and his mum was a dinner lady at a primary school on it. Old Mr Rourke, Andy's granddad used to shuffle into the back of St Aidan's, the Northern Moor Catholic church I went to every Sunday morning. When the school strikes happened in '86 we got a supply French teacher with punk hair who was mates with Mike Joyce. I later met Morrissey's horse. Every Manchester teenager who was bothered about The Smiths had little degrees of separation like this, maximising their loyalty. It could be any of their albums. The debut wins for newness, Joe Dallessandro on the cover and 'Reel Around the Fountain', a song which always makes me think of Desperado if it'd been written on the back of a fag packet at a Stretford bus stop. 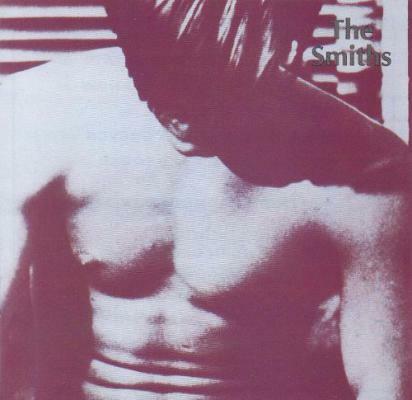 The first two Smiths albums are so specifically of the city, full of references to it, before Morrissey gets all grand and flouncy, placing himself directly in the flight path of the poetic greats with The Queen Is Dead. I once heard a girl sing 'Reel Around the Fountain' at an audition for the Manchester Youth Theatre. She was really physically northern, dour, freckled, fringed, flat-shoed. No accompaniment, just her, her plain phrasing and adorable awkwardness. I can never hear the line "I dreamt about you last night and fell out of bed twice" without thinking of her lovely frowning version of it. I saw her in the buffet carriage of a train to Glasgow a few years later and told her, incidentally.